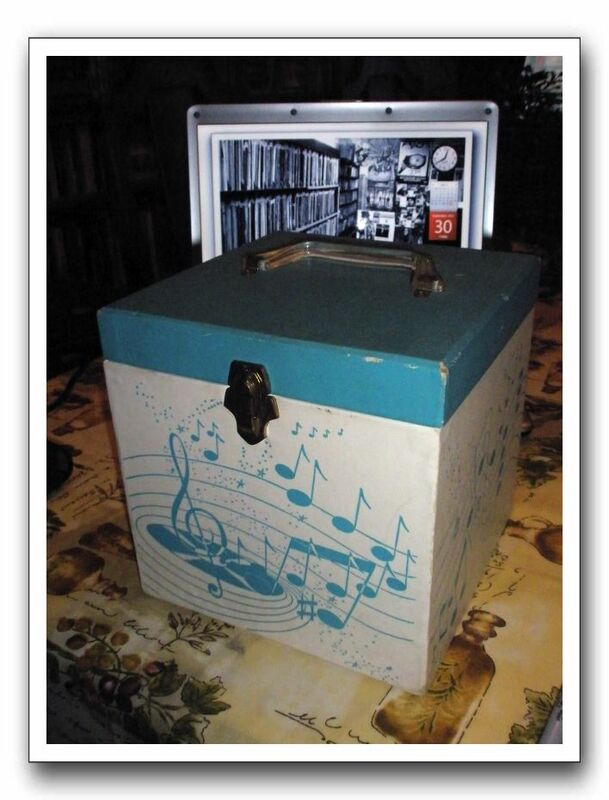 The vintage record carrying case in which the 50 chosen vinyl records were brought to Rockford for the reunion became semi-famous among the WRCR alumni who participated in the voting and the Old School Radio Show. Cece Forrestrer documented its journey in a series of photos. Before hitting the road for the trip from Chicago to Rockford, the Box of Vinyl contemplates a 1971 photo of the old WRCR record library, taken in the studios it is about to visit for the first time.